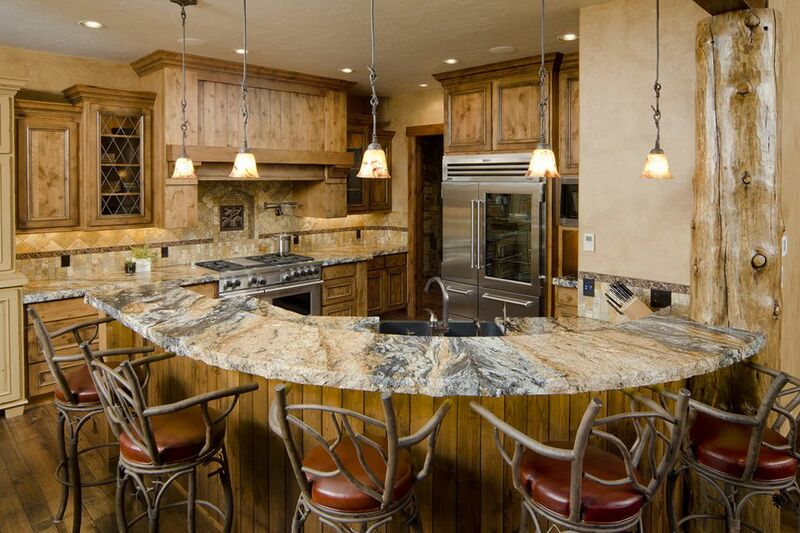 You treasure your gorgeous marble countertops in your kitchen or bathroom. But cleaning them requires more care than other surfaces. If your budget can tolerate it, buying a commercial, neutral pH marble cleaner probably is an excellent investment to clean these beautiful stone countertops most safely, one that doesn't risk scratching or etching from a homemade cleaner. Marble is vulnerable to acids, alkalis, and abrasive cleaners. You have a lot invested in your marble surfaces, so a guaranteed-safe commercial product is worth the small extra expense. For most small clean-up jobs, though, you can use plain water and a sponge or soft cloth. Hot water works best. Since water is virtually free, this is the least expensive and least risky homemade marble cleaner, and you can do this frequently. Baking soda is sometimes suggested as a good homemade cleaner for marble countertops. You can use it, but you need to follow the right procedure to use it safely. Marble is a soft stone made of calcium carbonate. It is easily stained, dulled, and scratched. You need to take care not to scratch it or expose it to acid (such as vinegar) or strong alkaline agents like ammonia and detergents. Baking soda is alkaline, so you should only use it with caution. It is also a mild abrasive, so you need to use it gently rather than applying elbow grease to your cleaning tasks. Because of these factors, you should use it only infrequently rather than every day. Using it frequently could dull your marble countertop. Never leave baking soda or a baking soda solution in contact with your marble for more than a few seconds. Warning: Never use a scrubber or scrub brush on marble. Sprinkle a little baking soda onto the surface of the marble. Gently rub the baking soda into the marble with a soft, damp cloth. You do not want to scrub because that can damage the surface. Then rinse with water and dry with a soft towel. You want to be sure to rinse with water to neutralize the pH and to dry thoroughly, so the solution is not in contact with the marble surface for any longer than necessary. Baking soda is a light abrasive and a natural disinfectant. However, you need to take care to use it gently on marble surfaces. A light abrasive is still abrasive. Be sure to wipe away all traces of baking soda, so it isn't left in contact with your marble surfaces. What Are Some Homemade Cleaners You Can Make With Vinegar? Where Do I Begin After a House Fire?